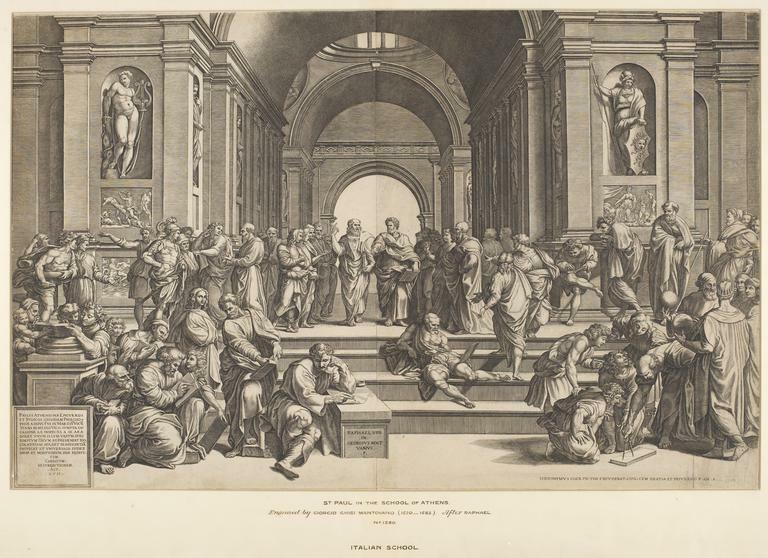 St. Paul in the School of Athens; After Raphael; On two sheets; Print on paper. 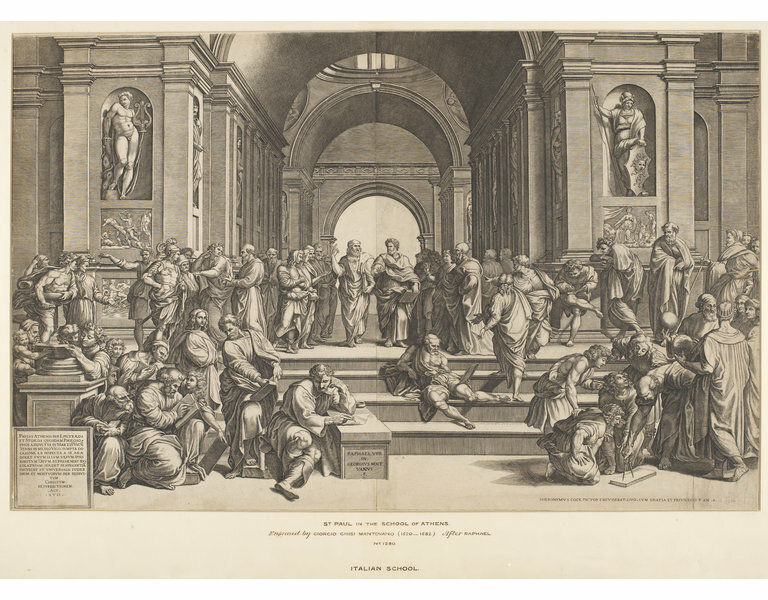 St. Paul in the School of Athens; After Raphael; On two sheets; Print on paper; By Giorgio Ghisi; Italy; 1535-82. DYCE COLLECTION. A Catalogue of the Paintings, Miniatures, Drawings, Engravings, Rings and Miscellaneous Objects Bequeathed by The Reverend Alexander Dyce. 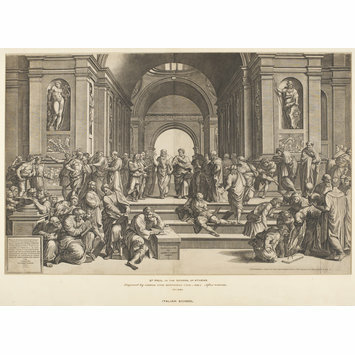 London : South Kensington Museum : Printed by G.E. Eyre and W. Spottiswoode for H.M.S.O., 1874.